Fractals suggest recursivity, infinity and the repetition of a principle of order. They are digital pictures of the universe's continuous movement ignored by mankind during millennia.§This book investigates the relationship existing between geometries and technology, and how it guided cognitive processes and thus the organization of narrative spaces. 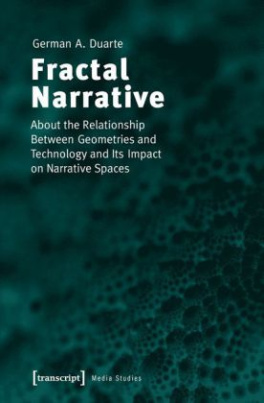 The author proposes a new approach for the study of media remarking that from Bacon's camera obscura to von Neumann's computers both geometries and technology strongly influenced the organization of narrative spaces, which acquired a fractal character.